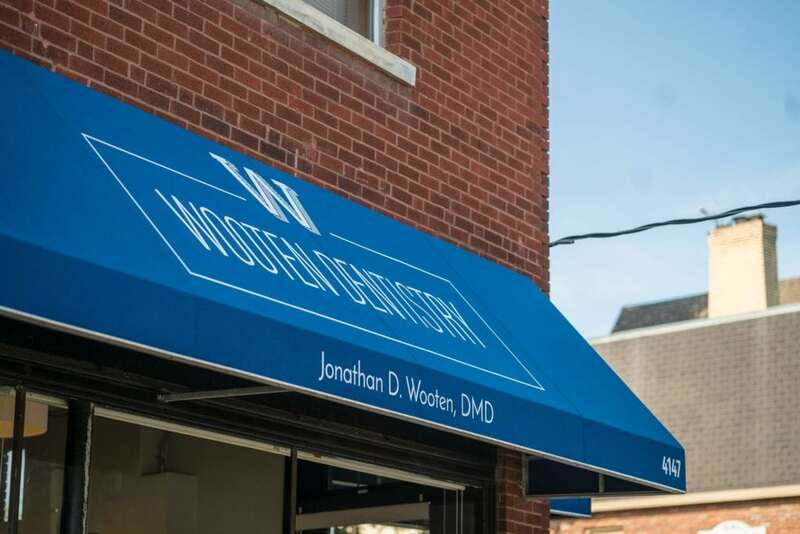 Our dental office is located in central Clintonville, a quick drive from downtown Columbus and neighboring Worthington, Upper Arlington, Grandview, and OSU campus communities. We offer full-service dental care and are happy to accept new patients. When you arrive, you’ll find available parking off of Westwood Road in the lot behind our building. Two-hour street parking is also available. We think our practice has just enough of the good stuff—without going over the top. You’ll find our waiting area and patient exam rooms to be clean, comfortable, and relaxing. Listen to one of Dr. Wooten’s recommended albums (there’s no shortage of good music). We don’t have fancy massaging chairs or a gold-plated cappuccino machine. We do have reasonably priced dental services and complimentary dad jokes.